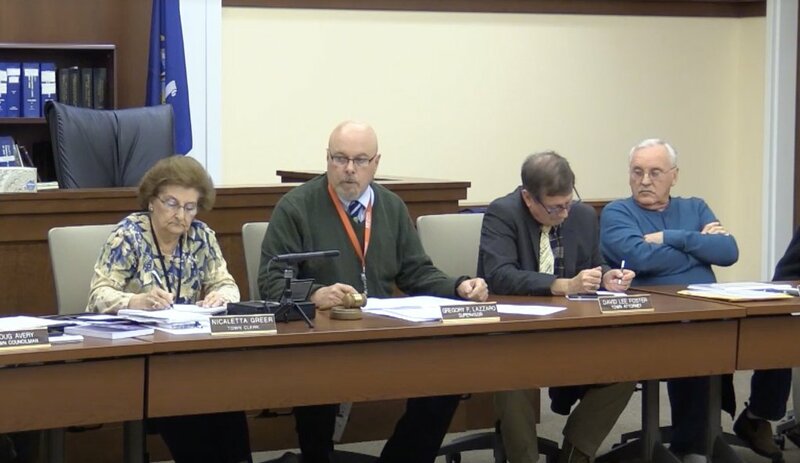 On Wednesday the Seneca Falls Town Board met for a special session to ultimately take a vote on the recently-proposed budget. While changes were offered in debate and conversation, few changes were made to the document that had initially been proposed. One of those proposed cuts? The Town’s Attorney position. Councilman Doug Avery made a motion, which Town Supervisor Greg Lazzaro ruled out of order near the end of the meeting, which would have reduced the Attorney’s position to a part-time, or contracted basis. The Town is currently contracting with a number of third-party law firms to act on behalf of Town Attorney David Foster for a variety of reasons. After Lazzaro ruled the motion out of order, he responded with the following about the budget; and budget process. “This budget increases taxes … keeps taxes about the same, but if we don’t find out where we’re going to get funding sources – we’re lost for the future,” explained Lazzaro initially. The board had considered a significant update to the Host Agreement with Seneca Meadows, which would have brought $5 million annually to the Town. He said that he couldn’t vote in favor of the budget – noting that his first-priority was the ‘financial interest’ of the Town. Deputy Supervisor Lou Ferrara agreed. “I can’t vote for it either,” he added. Councilman Dave DeLelys said that the $100 million could be helpful, but ultimately other communities have survived without significant chunks of revenue like the one received from Seneca Meadows annually. “Our taxes still aren’t as high as other communities,” reminded DeLelys, who compared the tax rate of Seneca Falls to that of the Village of Waterloo and City of Geneva. This has long been a sticking point for some in the community – given that the Town of Seneca Falls provides services that more closely align with area villages and cities than it does local townships. It has created a scenario through which taxes have had to increase to support the vast services provided by the municipality since the village dissolved. “We’re at $8.71 and we’re a lot lower than the rest of the Towns,” added DeLelys. One part of Lazzaro’s argument that can be backed up by data is its status as a working class community. Residents have long-contended that with less economic development, fewer viable and good paying jobs, as well as the overall state of the economy in New York – living in communities like Seneca Falls – with higher tax rates than other towns is a challenge. The budget passed by a 3-2 count. Supervisor Lazzaro and Councilor Ferrara were the opposing votes.